Its a lovely quiet location where I walk the dog. Parking near to GZ is possible. Please be careful with young children - the road is very quiet but cars do pass infrequently. I was given the container by a colleague so needed somewhere nice and quiet to hide it. 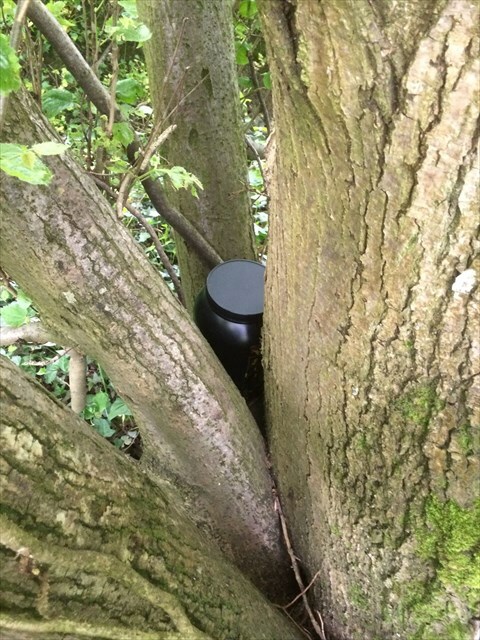 There used to be another cache very close by but that has now been archived so this is replacing roughly the same spot. There is plenty of space inside for trackables and when placed there was some toy SWAG for the kids. Objy bs n gerr 10 zrgerf va sebz gur ebnq. SpoilerYou really shouldn't need to view this.